Lead Dramatist and Director of the Fête des Vignerons 2019, Daniele Finzi Pasca was born in 1964 in Lugano. He is is a stage designer, director, playwright, choreographer and actor. He has created such monumental shows as the closing ceremonies for the Olympic Games in Turin in 2006 and Sochi in 2014. Daniele Finzi Pasca has worked for the Cirque du Soleil, the Cirque Éloize and renowned opera houses. 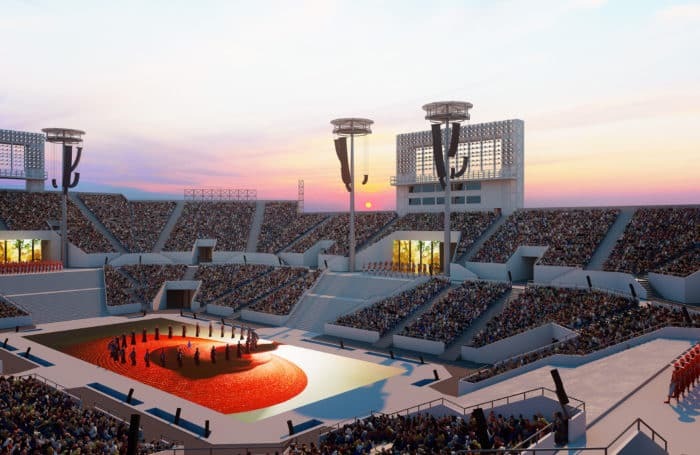 Arena designer and scenographer for the Fête des Vignerons 2019, Hugo Gargiulo was born in Montevideo (Uruguay) in 1965, where he studied architecture and theatre. A long-time collaborator of Daniele Finzi Pasca, he moved to Switzerland in 1996 and became a co-founding member of Compagnia Finzi Pasca in 2011. Among his various artistic roles, he participated in the Corteo creative group for Cirque du Soleil and the closing ceremony of the Turin Olympic Games. As a scenographer, he has been responsible for several circus, theatre and opera projects, as well as the closing ceremony of the Olympic Games and the opening ceremony of the Sochi Paralympic Games. Principle Composer and Music Director of the Fête des Vignerons 2019, Maria Bonzanigo was born in Lausanne in 1966. She is a founding member of the Compagnia Finzi Pasca and takes part in the creation of most of its shows as a composer and choreographer. Bonzanigo has also written scores for the Cirque du Soleil and Cirque Eloize. Composer for the Fête des Vignerons 2019, Jérôme Berney was born in 1971 in Vancouver, Canada. Percussionist and pianist with numerous albums, he likes to build bridges between music and cultures. He composes pieces for choir and instrumental ensembles, often singular, mixing jazz, classical and world music. His creations have been played at the big Swiss festivals (Cully Jazz, Montreux Jazz) as well as abroad (Berlin, Vilnius, New York). Another composer for the Fête des Vignerons 2019, Valentin Villard was born in Lausanne in 1985. Having studied under Michael Jarrell in Genève and Willem Jeths in Amsterdam, he composes pieces of varied forms, ranging from soloist to grand symphonic orchestra, covering choir music, organ pieces, percussion and electro-acoustic works. The Fête des Vignerons gives him the chance to reconnect with traditional compositions, both solemn and light-hearted. 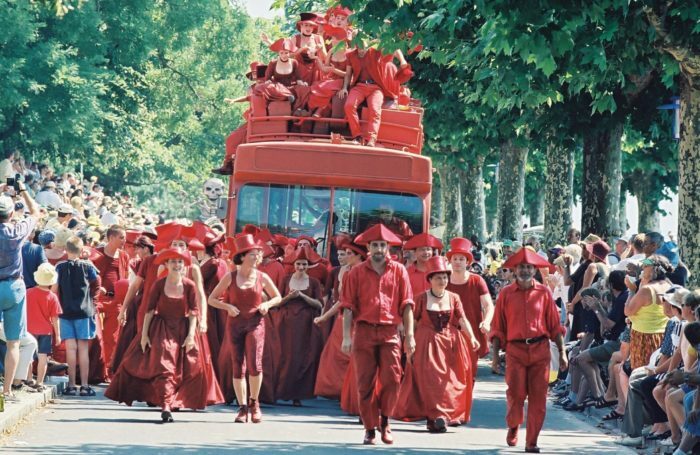 Costume Designer for the Fête des Vignerons 2019, Giovanna Buzzi was born in 1955 in Milan (Italy). In 2017, she was awarded the Metropolitan Fashion Award for Costume Designer of the Year. Buzzi has often worked with Daniele Finzi Pasca since the Olympic Games in Turin. She has also notably worked with Costa Gravas, Placido Domingo or Daniel Baremboimm, and designs for the most important theatres and Italian opera houses. Librettist for the Fête des Vignerons 2019, Stéphane Blok is a poet and musician from Vaud Canton, who was born in Lausanne in 1971. Author of songs and compositions for theatre and dance, he is interested in all forms of artistic expression. For the Fête des Vignerons 2019, in collaboration with Blaise Hofmann, he is penning the words and songs to express the various tableaux of the show. The second librettist for the Fête des Vignerons 2019 and Vaud-native, the writer Blaise Hofmann was born in Morges in 1978. Author of many pieces of theatre, novels and travel books, he joined the creative team for the Fête des Vignerons in 2015, tasked together with Stéphane Blok to express the winemaker’s esprit and write the many songs for 2019’s show. Choreographer for the Fête des Vignerons 2019, Bryn Walters has worked on more than 40 large shows, including 12 Olympic ceremonies. 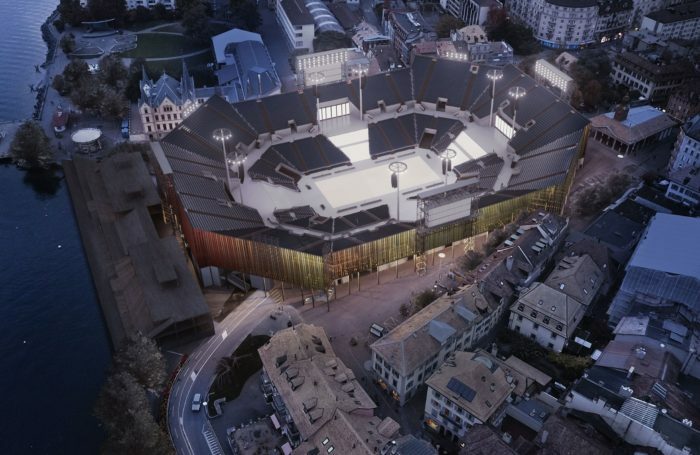 He collaborated with Daniele Finzi Pasca for the 2006 Turin Olympic Game’s closing ceremony as well as for Sochi 2014. Born in 1969, sound engineer since 1985, he’s part of the well-known studio Tonstudios Z AG Zürich. He has been involved in many feature films for cinema and documentaries. 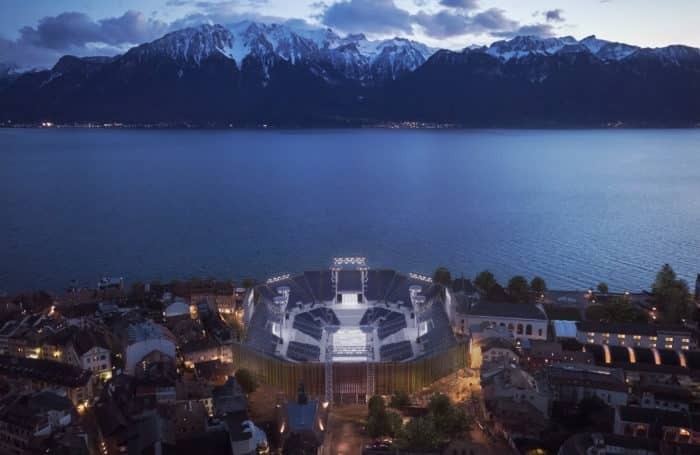 Chief sound engineer at Montreux Jazz Festival, he is also the engineer for several classical music festivals as well. Born in Montreal, Canada, in 1980, Alexis Bowles has, from an early age, traveled around the world with his father, who worked for Cirque du Soleil. Like many designers of his generation, Alexis masters both lighting design and music production to then create a symbiosis of moods, textures and rhythms. Always looking for new media and new technologies, he works in all the performing arts: circus, opera, dance, theatre, etc. His innovative style demonstrates a modern sensibility influenced by human nature and a great desire for freedom. Video designer for the Fête des Vignerons 2019, Roberto Vitalini was born in 1971 in Lugano. He is head of BASHIBA SA, a company dealing in imaginary universes, video art, interactive art and video scenography. Since 2009, Roberto has created video scenography for productions staged by Daniele Finzi Pasca. Estelle Bersier was born in Pompaples (Switzerland) in 1994. In 2013, she had her first experience working with the Compagnia Finzi Pasca for performance of “La Verità” in Lausanne. A clothing designer by training, she studied in Paris before joining the company. Born in San Paolo in 1972, an actress of cinema, theatre and television, producer and dancer, she joined Teatro Sunil in 1992, which became the Compagnia Finzi Pasca. Awarded for her performance in the film “Entre Vales”, she went on to produce “Rodin and Camille” and “Isadora,” directed by Elias Andreato. Assistant to Daniele FInzi Pasca for the Fête des Vignerons 2019, she is also his actress in “Donka,” a production of the Compagnia Finzi Pasca, currently on a world tour. Production assistant to Hugo Gargiulo and the Compagnia Finzi Pasca, Matteo Verlicchi has worked for the opening and closing ceremonies of the Olympic Games in Sochi, as well as for various performances put on by the company, such as “Bianco”, “Per te”, “Carmen”, “Montréal Avudo” and “Donka”. Born in Bologna, he completed a Master of science in architecture at Mendrisio in Ticino. Digital representations and 3D modeling expert, he assists Hugo Gargiulo with technical designs and scenic elements for the Fête des Vignerons. She began her career in 2003 in the world of the lyric theatre, which led her to work in some of the most important festivals and theatres (Teatro alla Scala, Teatro S. Carlo, Zurich Opernhaus, Rossini Opera Festival). She has worked with Giovanna Buzzi since 2006 on the prose and lyric theatre, on large-scale events (the Olympic Games of Turin and Sochi) as well as for the show “Luzia” by Cirque de Soleil. Having grown up in the costumes workshop of the Tirelli theatre in Rome, she worked with some of the most important Italian and international costumiers (H. de Ana, G. Pescucci, P.L. Pizzi) until 2007, when she took over management of the Lowcostume workshop founded by Giovanna Buzzi and Silvia Aymonino. At the same time, she has continued to work as a costume designer and assistant in prose and lyric theatre as well as for big events (the Olympic Games of Turin and Sochi). Trained at the Teatro Nuovo Academy of Dance in Turin, graduate of Codarts in Rotterdam, she has worked in the area of group choreography, ever since her participation in the ceremonies of the Para-Olympic Games in Turin in 2006. She is also a “chartist” in this area and specializes in parades, processions and sporting exhibitions. Assistant to Bryn Walters, she has also worked with Nikos Lagousakos, Doug Jack and Francisco Negrin.